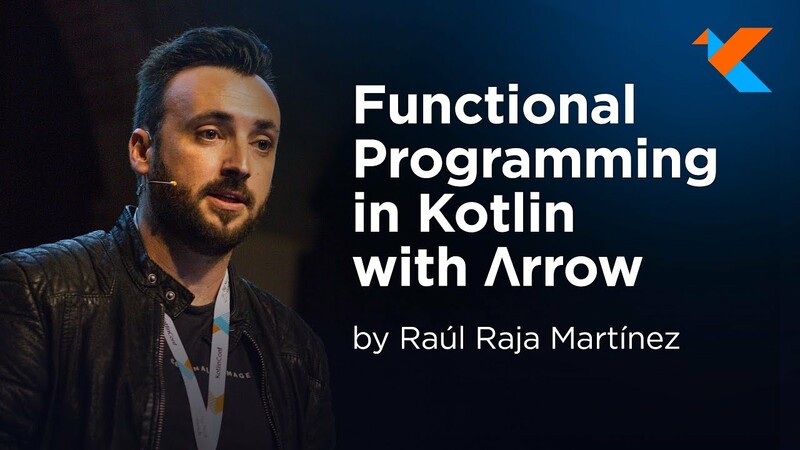 As its name implies, From Imperative to Functional Programming using Arrow is a tale about migrating a simple Kotlin application written in imperative style to a fully function application with the help of the Arrow library. 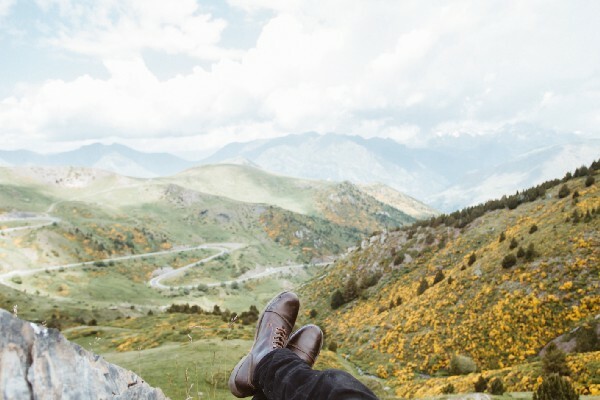 Webflux with Kotlin and Arrow shows how you can use Arrow together with Spring Webflux to create a reactive REST application. This article explains how to use the MonoK and the FluxK Arrow extensions together with the binding function to make working with the Mono and Flux reactor constructs much easier and better understandable. 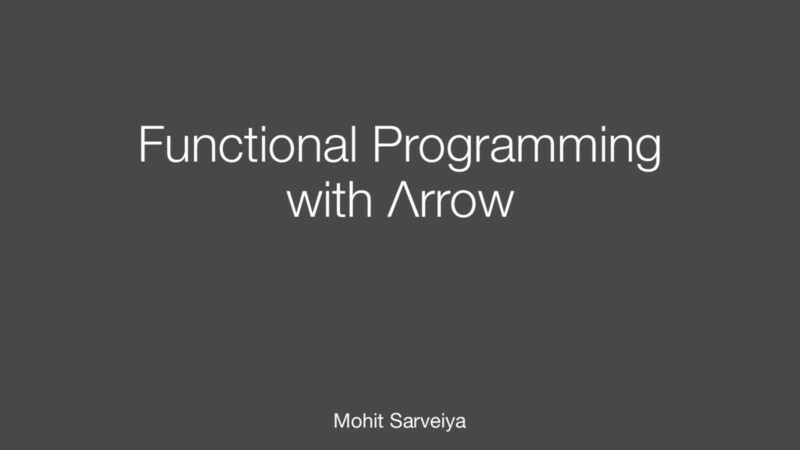 Getting started with FP in Kotlin and Arrow: Typeclasses explores part of the Arrow library by explaining how you can use Arrow to create your own typeclasses and use the ones provided by Arrow to make your code more concise and better readable. Functional Hangman game - console application written with Arrow. Uses the IO<A> monad to push side effects to the edge of the system. It includes how the ΛNK plugin works: from having a tool that evaluates and verifies your doc snippets at compile time, to generating code documentation that is always correct and up to date. Arrow-kt collection: data types, type classes, effects, optics, generic, free, recursion schemes. Contact Ersin on Gitter or Slack if you have more concise/simpler definitions, can correct misinterpretations, or can help with a deck. 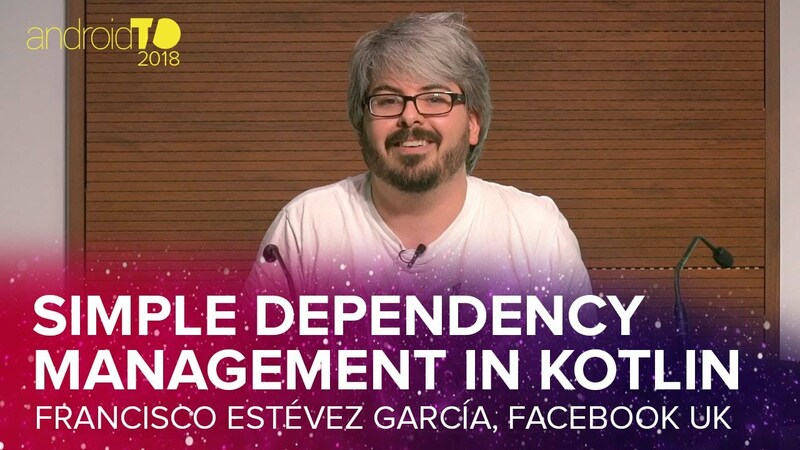 In this talk we introduce the concepts of Dependency Management as a language feature, typeclasses, and a live demo of KEEP-87. You can follow along the example in this folder. @dcampogiani is using a polymorphic approach to retrieve a random user and then a joke about him. A beginner level introduction to Functional Programming for Kotlin and/or Android Developers or developers with OOP background. 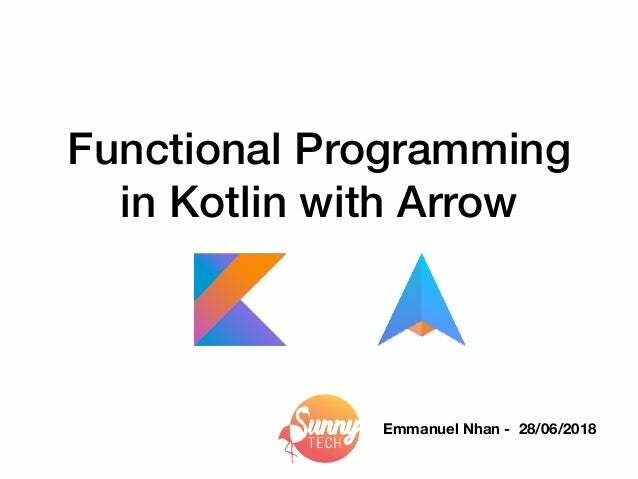 @nhanmanu introduces Kotlin and how it is a good fit for functional programming. 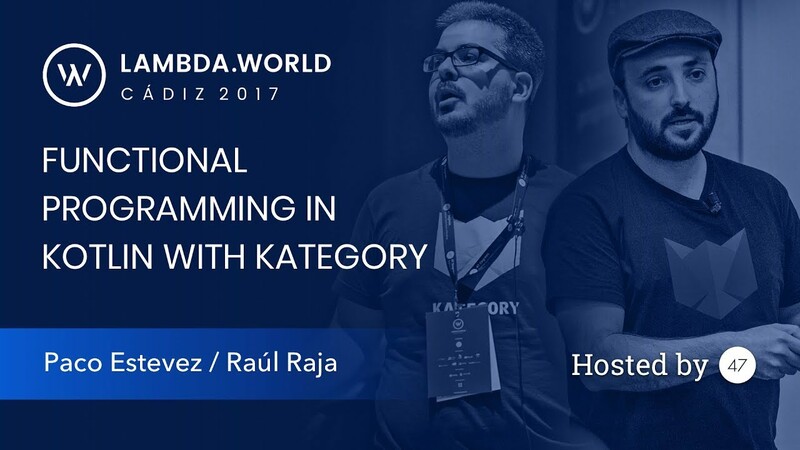 The talk goes through some interesting features of Kotlin, then show how to use them to enter the world of Higher Kinds and Typeclasses. In the last part, we explore some Arrow capabilities & built-in syntax, using validation as an example. 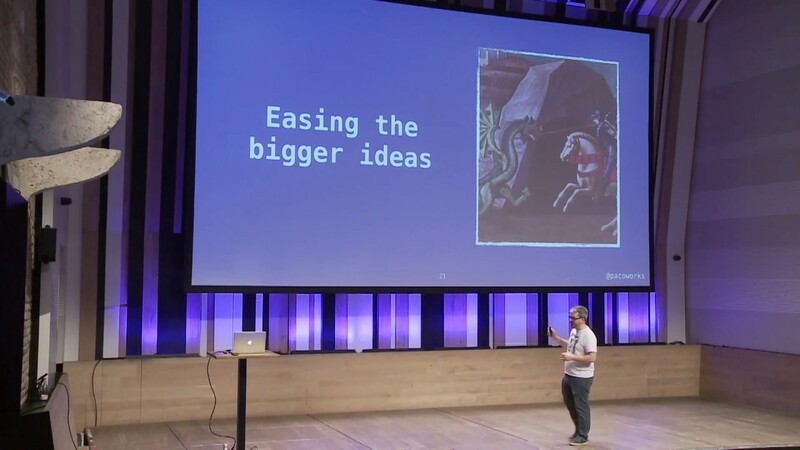 This talk focuses on the day-to-day problems Arrow solves, from small ideas to big concepts. It includes an overview of all the modules available, and some of the 3rd party libraries made by the community. Leandro Ferreira presents how to build a simple app using Arrow and how to implement solutions with Semigroups. It’s hard coming back down to the earth of a JVM based language after spending time with Haskell and OCaml. 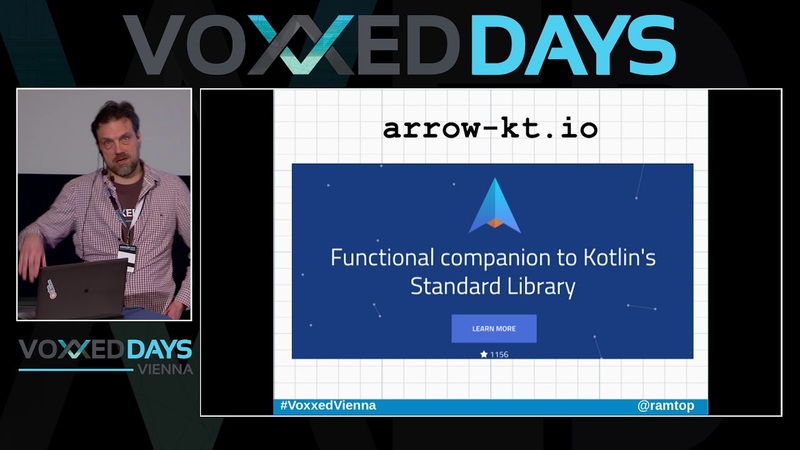 This talk will discuss functional programming in Kotlin with the Arrow library, how the abstractions it provides can improve your code, and how this magic that provides higher-kinded types works under the hood. Emmanuel Nhan showcases different approaches to validation including examples for ValidatedNel from Arrow in this great and in depth post using Kafka Streams Config parameters as example. 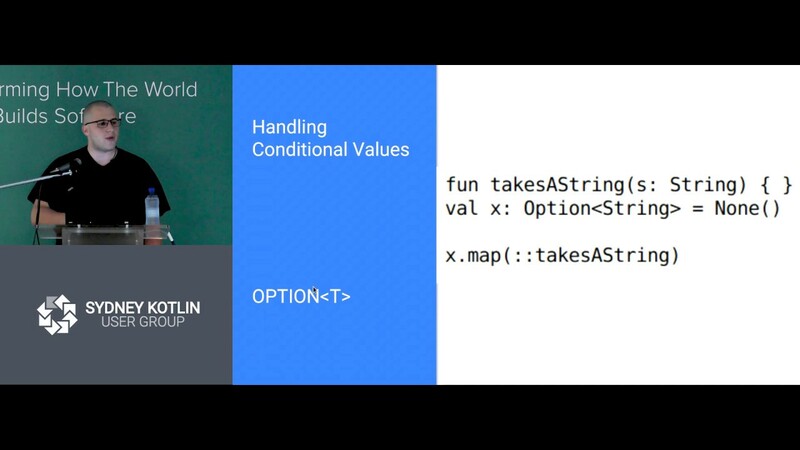 @dcampogiani explores some data types in Arrow and uses them to validate a form on Android. 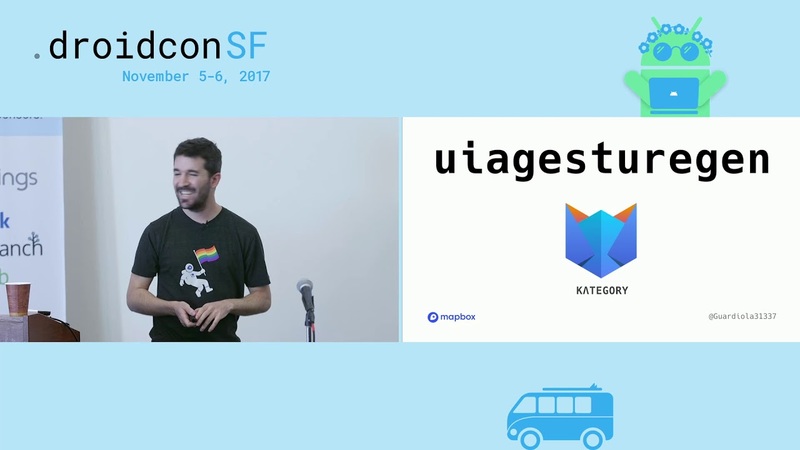 @bassjacob goes through how Funktionale and Kategory merged into Arrow, consolidating two of the most popular FP libraries in the Kotlin space into one powerhouse. 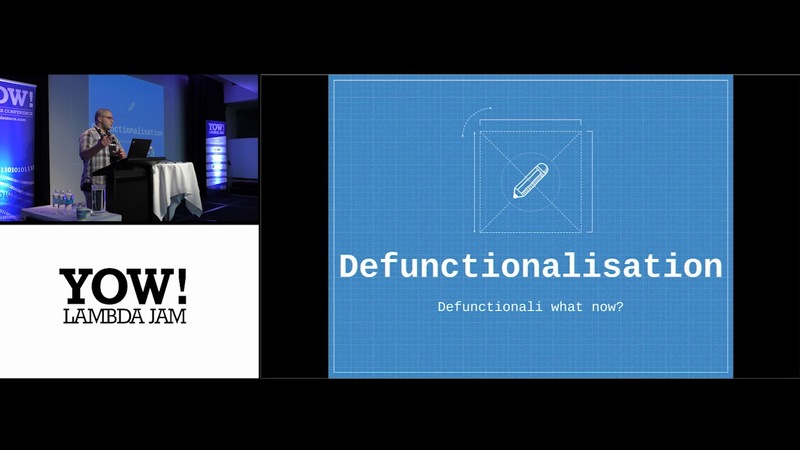 The talk is an introduction to some FP concepts, how the libraries work, what features they bring to the table and where you might use them in your code. 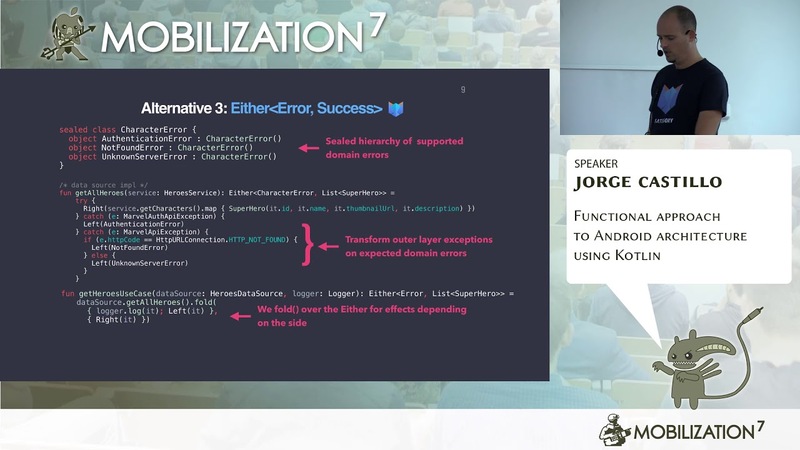 @uberto gives a gentle introduction to Category Theory for programmers used to OOP but interested in Functional Programming. No Haskell knowledge required. We will explain main concepts behind functional programming with many diagrams and simple metaphors and examples. Some code will clarify how to translate these ideas in programs. @msya explains how to use various optics and type classes in Arrow. He discusses optics such as Lens and Iso. He also goes over the purpose for type classes and how KEEP-87 will make it easier to implement them. A rundown of all the features included in the library, focusing on implementation details. Make DSLs stack safe, composable and reusable under different runtime requirements thanks to Arrow. 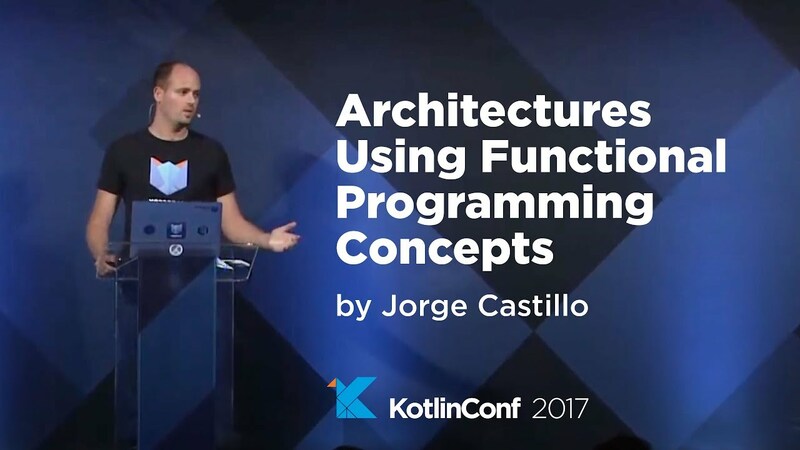 @javipacheco creates a Proof of Concept architecture for Android using the Actor pattern and modelling the domain with Either. 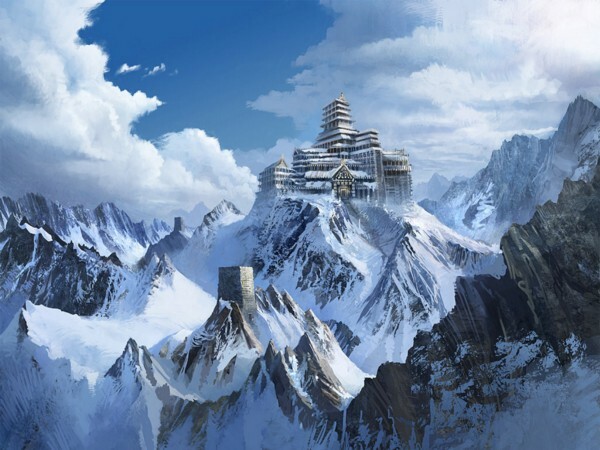 Introductory talk to Functional architectures to be built on top of Arrow. 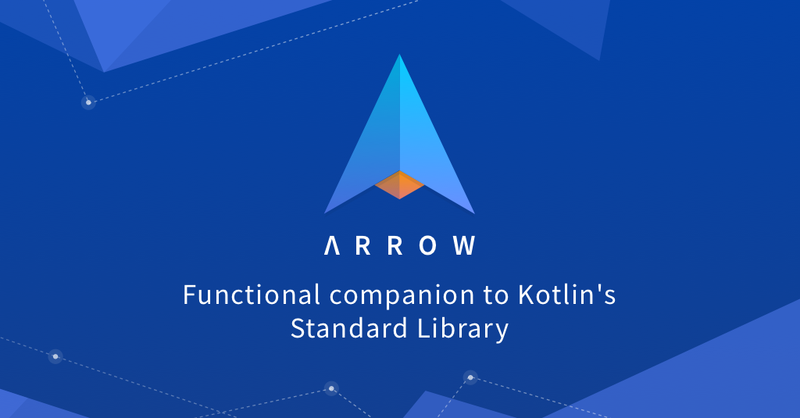 An introduction to Arrow and the enhancements it brings to Kotlin’s standard library. 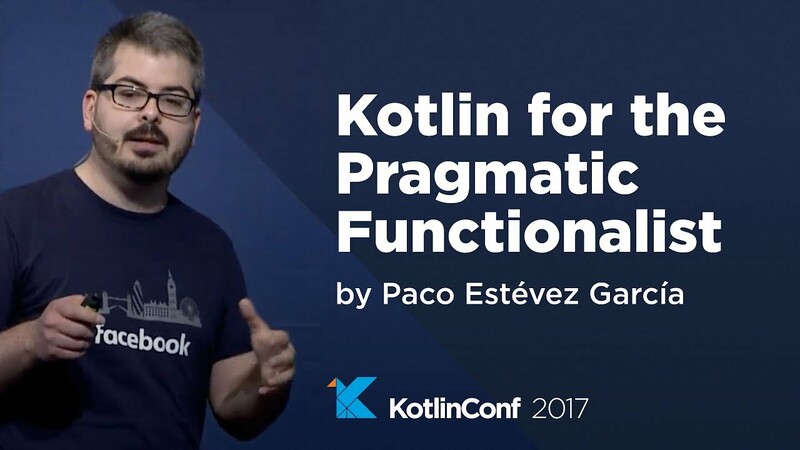 Kotlin Functional Programming: Does it make sense? 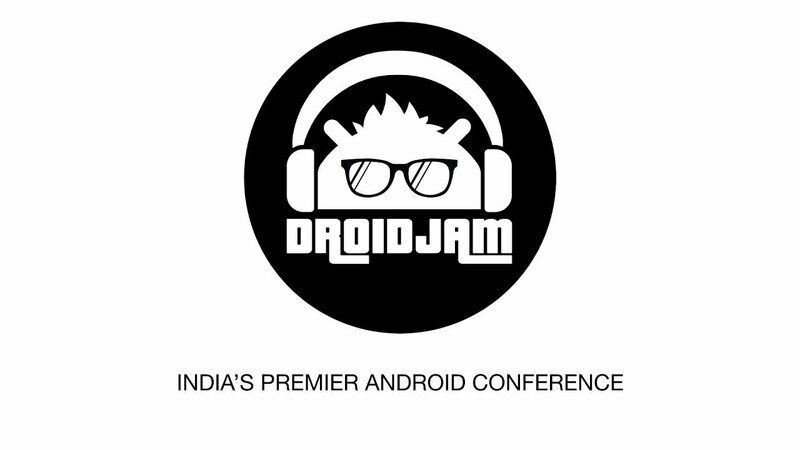 Move side effects to the edges of the system, implement a functional oriented architecture for Android apps based on purity. @uris77 explains how to use Try in real world examples.